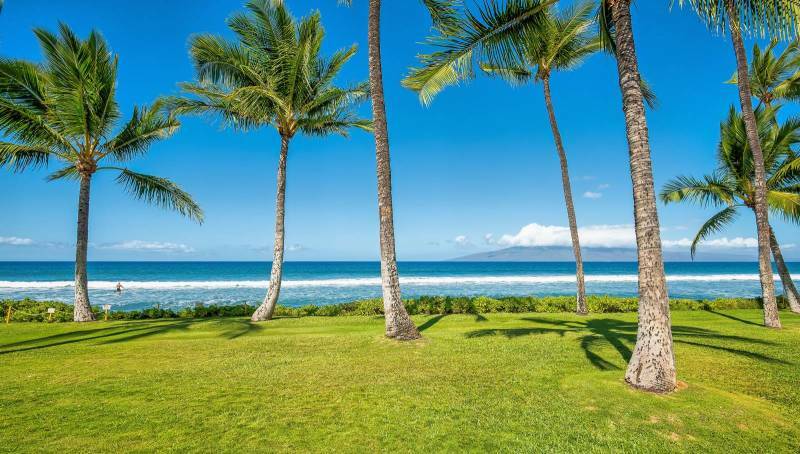 Puamana is a highly sought-after gated community in Lahaina, Maui, where oceanfront homes rarely come up for sale; a double oceanfront is a once in a lifetime opportunity. The story goes, almost 40 years ago, the current owners were looking to build their dream beach house and they traveled the world looking for the right spot. The sky was the limit. They decided they loved Hawaii and stayed a few nights on each island. Finally settling on Maui, they tested out different parts of the Island. They loved Puamana dearly, but the oceanfront condos were not large enough to accommodate their lifestyle. So they bought two of the most prime locations in Puamana and combined them into one expansive home, creating their own private oasis. The master bedroom opens up to the Pacific. The living room features high vaulted ceilings with gorgeous woodwork details. 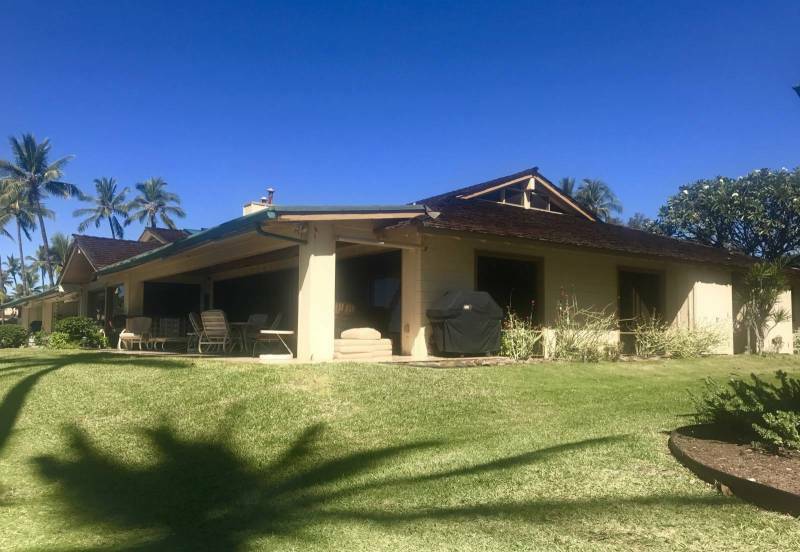 The 450 square foot front patio is the favorite spot of the owners, set up to allow for maximum privacy featuring an outdoor bar and daily shows of Lanai, surfers, sunsets, and whales. 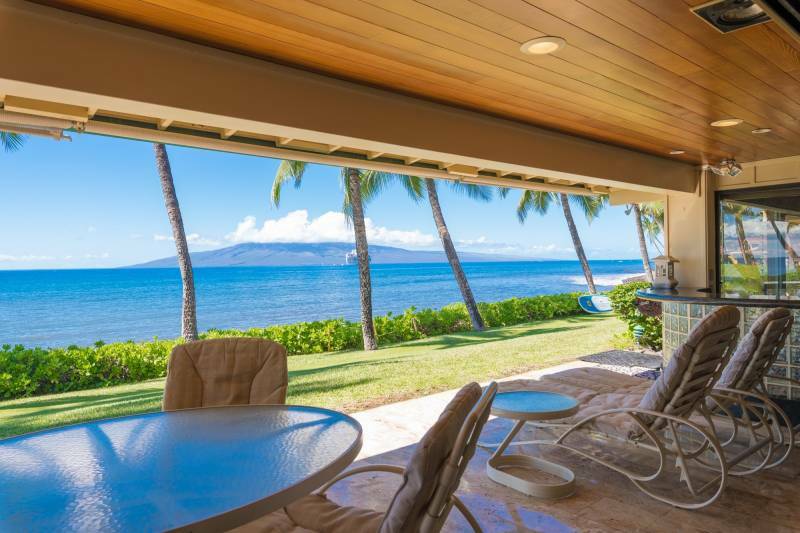 The 440 square-foot-heavenly lanai is set up for maximum privacy. This central location in Puamana has easy access to the sandy beach that they couldn’t find elsewhere. They also loved the carefree living Puamana offers — the three swimming pools, a heritage clubhouse, tennis court, gazebo, and impeccable gardens are all taken care of for you. You don’t have to worry about getting those coconut palms trimmed. This property offers four parking spots for their collectible cars plus space for their frequent visitors. The current owners of 136 Pualei drive never rented their home but vacation rentals are permitted in Puamana. Also, Puamana is pet-friendly! 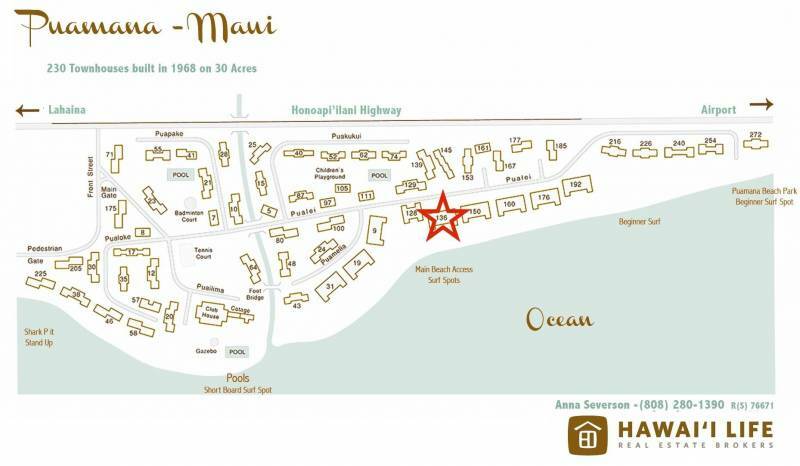 136 Pualei Drive 3 & 4 (Click here for the Puamana Maui Map) is not only on the beach; it’s on a surf spot! This home has so much potential — the listing price is $6,950,000 — it is two separate properties, two TMKs. Keep in mind, last October I sold a single Puamana oceanfront property for $3,400,000. 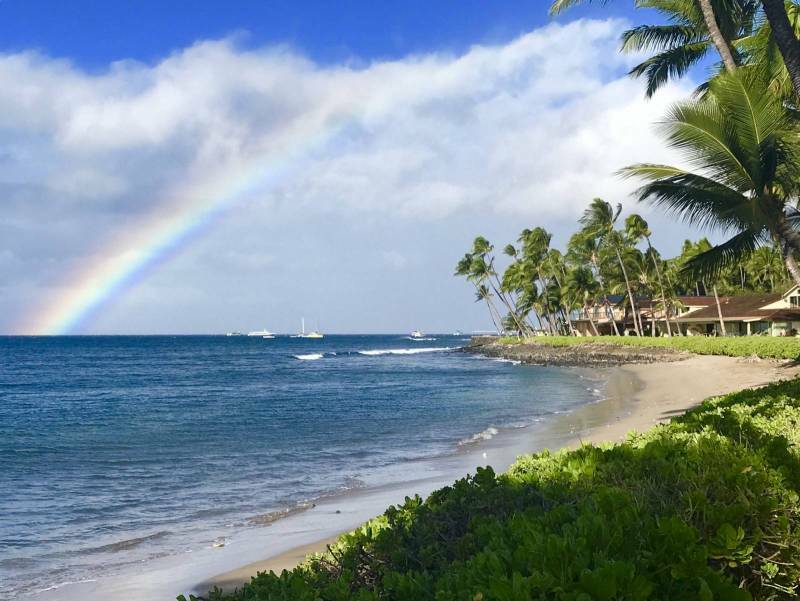 Did we mention the rainbow views? 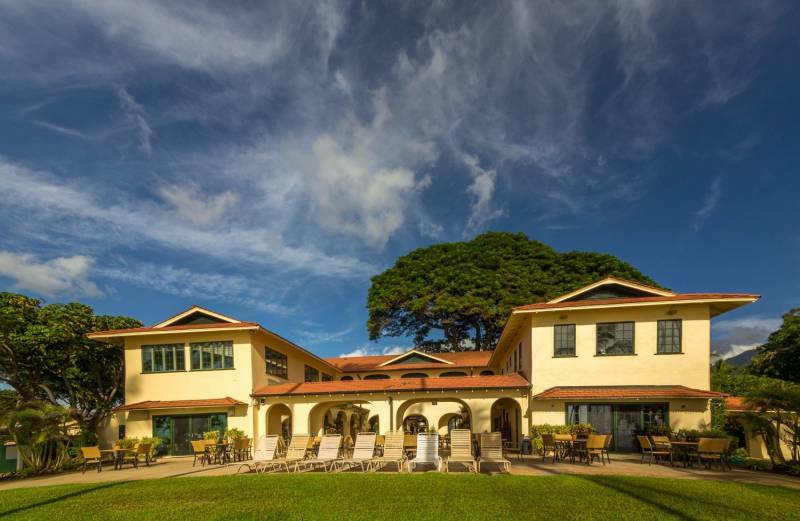 The Puamana clubhouse was built in 1919 as the home for the Lunas of the Sugar Cane fields (Luna means the Boss in Hawaiian). 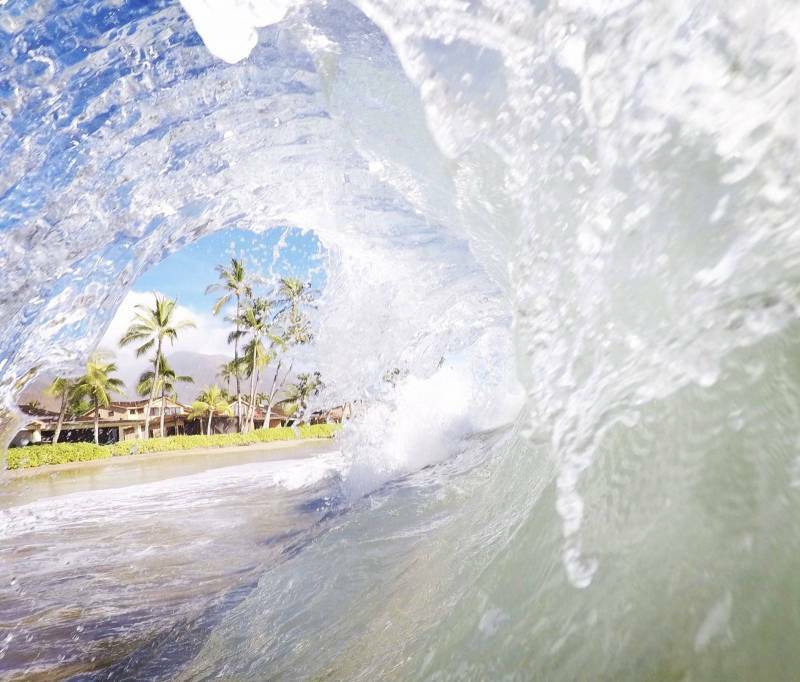 The clubhouse is rich in traditions and housed many prominent Maui families. Now the clubhouse is alive with new traditions such as evening cocktails and talk-story, a gym, library, a bar with a big-screen TV and homeowners’ events such as Christmas House and my favorite — a super fun and safe New Year’s Eve party that ends at 9pm! The grounds at Puamana are taken care of for you…that’s carefree living. 136 Pualei Drive 3 and 4 is a single level, end location. 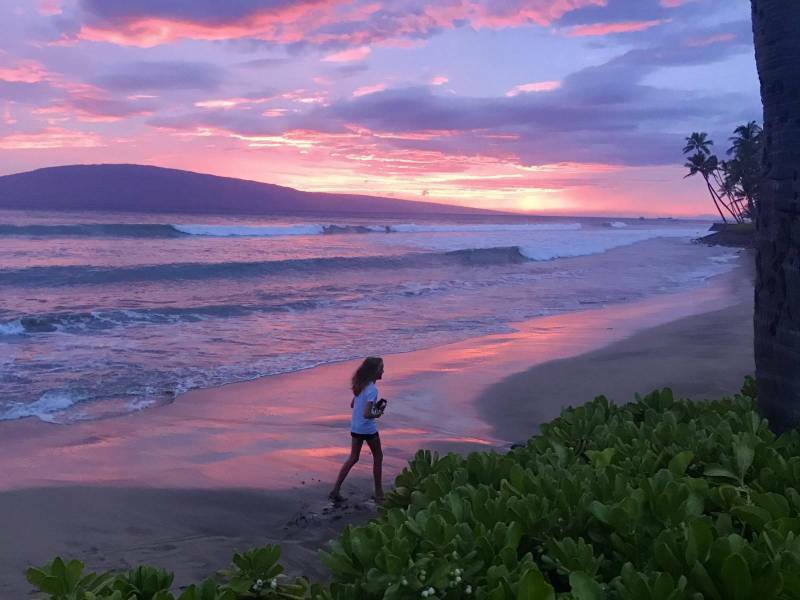 The best location in Puamana, Maui. Wow what an amazing opportunity. Great job Anna. Makes me want to be your neighbor. > Mike – you can! There are various properties in Puamana available starting in the mid $800k range, although average price of condos in here is closer to a million. This double is the only double property plus directly on the beach therefore merits the $6.95M list Price. Mahalo for reading!